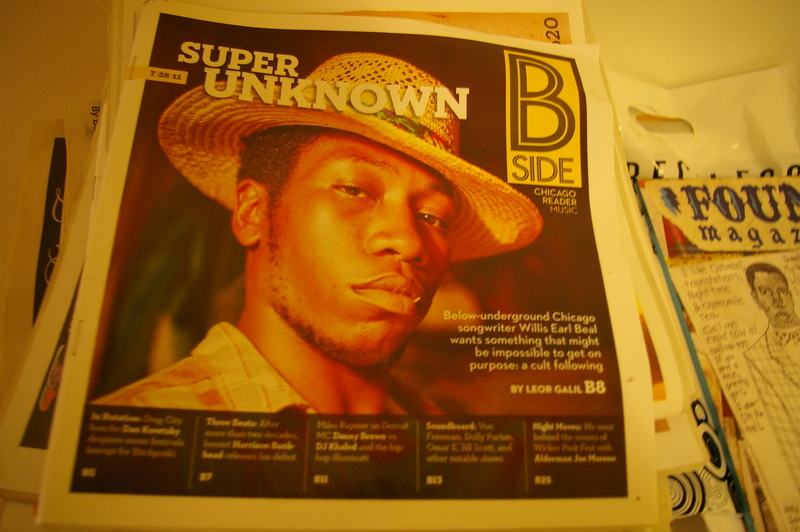 via Willis Earl Beal: super unknown | Music Feature | Chicago Reader. It’s been great getting to write about Willis Earl Beal, a Chicago anti-folk artist trying to get his music out to the world. He’s a fascinating person with an unusual story, and I’m thrilled to tell people about him (not to mention put together a couple follow-up posts on the Reader‘s new Tumblr, one featuring Chicago rapper Sharkula, the other about Beal’s recent public performance). I hope you enjoy reading about Beal as much as I enjoyed writing about him.